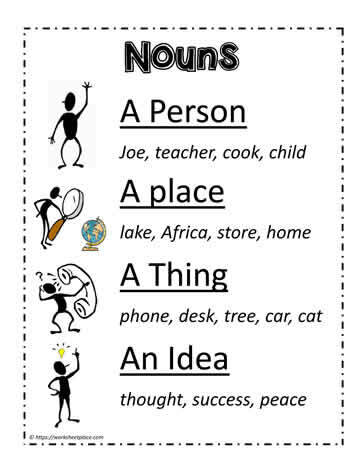 Nouns are a part of speech that refer to people, places, things and ideas. Mom, dad, brother, sister, aunt, uncle, grandmother, grandfather, cousin, friends. From there, we make our own list of naming nouns that might include Sara, Jared, Sam etc. After that, we talk about places we've been. 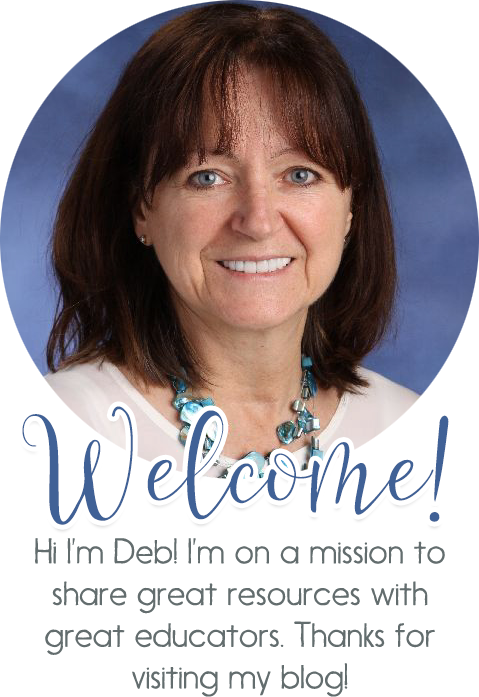 Sometimes they'll name say Dallas, Elizabeth Street or Niagara Falls and they are correct, but there are places like the store, the library, the school. We then talk about common and proper nouns. However, for the introduction of nouns, both proper and common nouns for naming places just fall under the category of places. Students then begin to brainstorm places: their street, favorite park, movie theaters, zoo, streets they've been on, countries, states, lakes, cities and towns they've been to. A quick look around stimulates the many different things. Have your students go on a scavenger hunt to list as many nouns as they can. Once they have their list of nouns, it's time to classify them. You can list them as people, places, things and ideas or you can also list them as Common or Proper. See all the worksheets on nouns here. Stay tuned, as we expand our categories of parts of speech to include adverbs, adjectives, preposition, verbs etc.